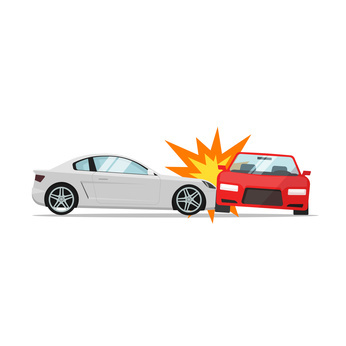 Starting April 1st, 2019, ICBC will now start covering 12 preauthorized acupuncture treatments within 12 weeks of a car accident as per the Insurance (Vehicle) Act. This is great news because Acupuncture is wonderful for treating pain and injuries as well as any emotional effects of car accident trauma such as anxiety, insomnia, or PTSD. During an injury, blood vessels, muscular tissue, tendons, and ligaments are damaged, and inflammatory molecules overwhelm the site resulting in pain. Acupuncture is wonderful for treating pain syndromes by improving the blood supply to the injury to promote anti-inflammatory cytokines produced by the body’s immune system. It also decreases inflammation and production of stress hormones, and promotes the production of pain relieving neurotransmitters such as endorphins and serotonin. Another helpful tool in addition to acupuncture is low level laser therapy, also called cold laser, LILT, or LLLT. Laser therapy implements red and infrared light to decrease pro-inflammatory cytokines, promote blood circulation, and promote tissue regeneration by increasing mitochondrial ATP production through photobiomodulation. ICBC will cover $105 of the initial treatment, as well as $88 for follow up and are also creating a new method of submitting invoices and reports through an easy to use web based format to take the hassle out of seeking compensation. Although, no one ever wants to get into a car accident, there are nearly 160,000 every year in Canada. These new benefits are extremely important, so tell your friends, coworkers, family members, and loved ones. These treatments can make all the difference in recovery post car accident, so you can get back work, family, and life sooner and healthier.